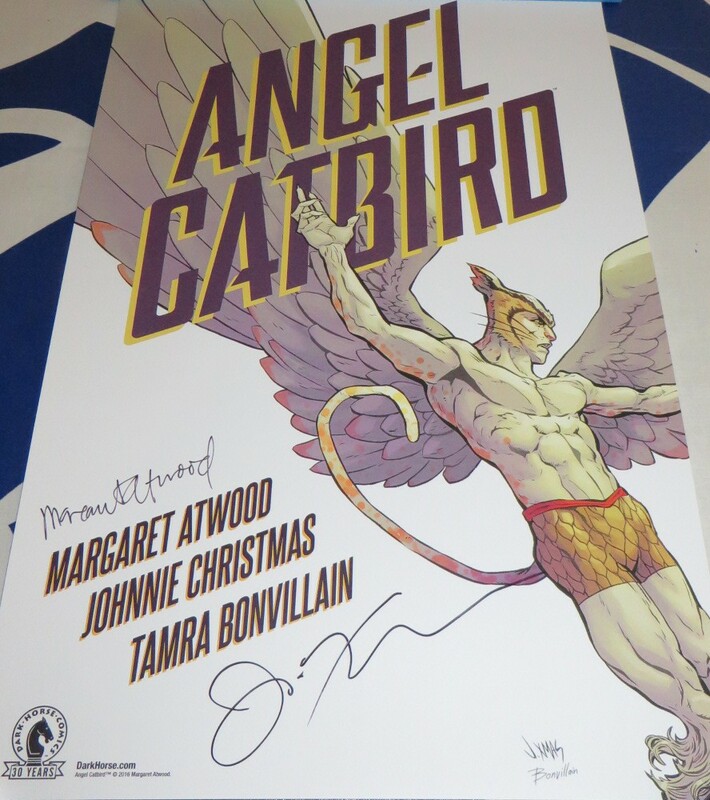 Angel Catbird (graphic novel) 11 by 17 inch Dark Horse 2016 mini heavy paper poster autographed in black marker by award winning author Margaret Atwood and artist Johnnie Christmas. Obtained in person at limited 2016 Comic-Con signing, with photo from the signing, small Angel Catbird button distributed at the signing, and certificate of authenticity from AutographsForSale.com. 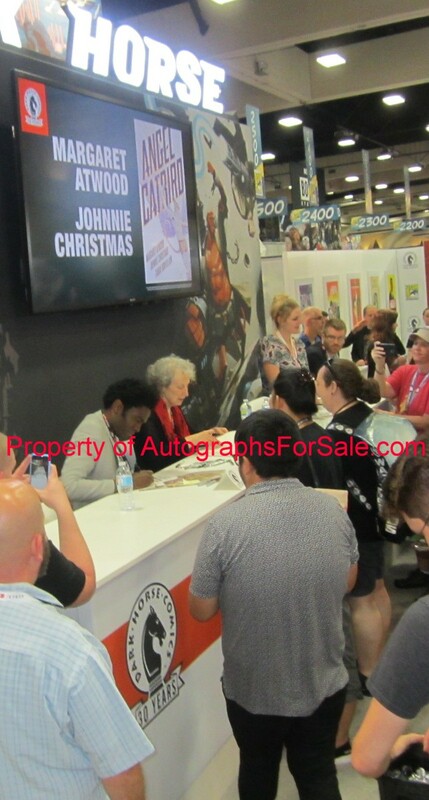 ONLY 2 LEFT.